Whatever your starting point, improved fitness is within reac﻿h. 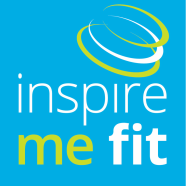 Our classes and online fitness and fat-loss programmes cater for all ages and abilities – so whether you simply want to improve flexibility and muscle tone, lose weight, or are looking for help to achieve a challenging fitness goal we have the solution for you! Join our Online Fitness and take your first step towards loving the body you live in!